Biodynamic farming is one of the most significant new trends in the wine world although Ted Lemon at Littorai has been exploring biodynamics since the late 1990’s, long before it was hip. 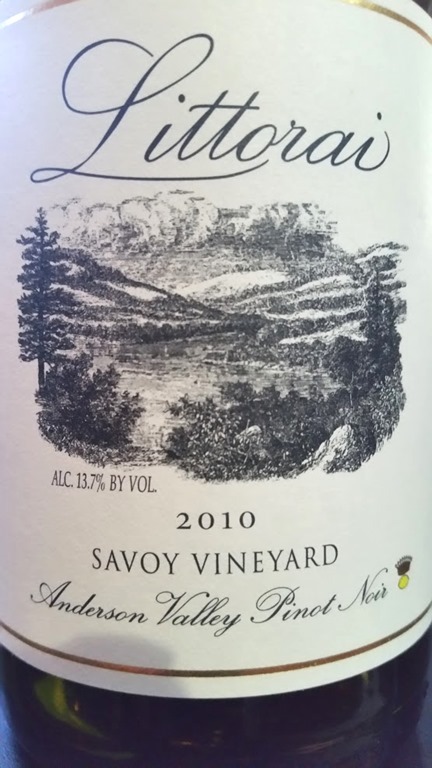 Despite its recent cachet biodynamics has a long history. Reacting against the expanded use of newly developed fertilizers in the 1920’s, philosopher and spiritualist Rudolph Steiner developed farming methods using only what could be found in nature, viewing the whole farm as a self-sustaining system. This included the use of humus as fertilizers and herbal teas to ward off pests, but also such questionable practices as stuffing the compost in a cowhorn and burying it in the soil and harvesting grapes based on phases of the moon or the position of the planets, all of which is supposed to harness “cosmic forces” in support of growing better crops. Viticultural scientists are largely skeptical of all of this although some are convinced there is something going on that contributes to vine and soil health. 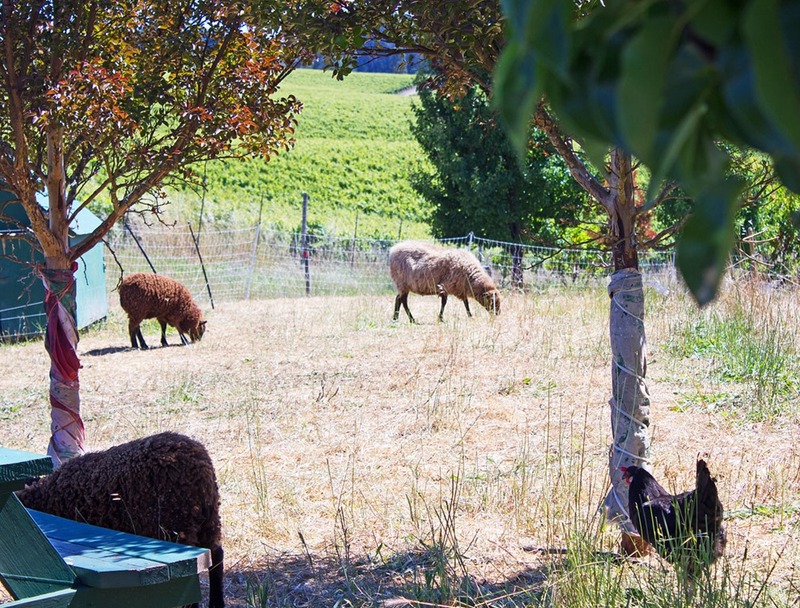 Despite some of the metaphysical musings, biodynamic farming is rigorously sustainable and also forces winemakers and viticulturalists to focus intently on the health of their vineyard ecology. And there is anecdotal evidence that the wines taste differently. In some blind tasting panels biodynamic wines have been deemed superior by impressive margins, and Jancis Robinson reports they tend to have more florality and life than wines made from conventionally farmed grapes. At any rate some of the most esteemed producers in the world such as Dominio de Pingus, Olivier Humbrecht, and Chapoutier are exclusively biodynamic. Littorai’s Ted Lemon takes a bemused attitude toward some of the extravagant metaphysical claims associated with biodyanamics and he eschews as just marketing the official biodyanamic certification from the Demeter organization. But a tour of his Sonoma operation shows a rigorous adherence to the principles of whole-vineyard ecology and sustainability. Goats, cows, ducks and chickens patrol his property sharing space with attractive gardens of flowers and herbs used to make the teas. Great care is taken to direct all waste to the compost pile that will be used to introduce nutrients to the soil. Biodynamic farming is a lot of work but it pays off in vibrant fruit and wines that age beautifully. The lineup we tasted included lovely Chardonnay and several vineyard-designate Pinot Noirs from 2014. But as usual the wine I gravitate towards has some bottle age on it. Fruity on the front palate, the bright cherry exudes fresh, exuberant charm. But it gathers gravitas at midpalate as a seamless groundswell of cola introduces the long, peppery finish enlivened by a cool mountain stream undercurrent. The nose has a darker aspect, the scent of an early summer forest before decay sets in. At 7 years past its vintage date the profundity of age is breaking ground. You can smell the hint of a caramel precursor, and the silken mouthfeel leaves the impression of richness without being opulent or lush. Such effortless, aging beauty—if it had not been on the tasting menu I wouldn’t have known to purchase it. Kudos to Littorai for showing their library wines. Paired with a quesadilla of sautéed mushrooms, caramelized onions, good cheddar, and an acid-driven green sauce. Superb. Charming but with some profundity and the call of exuberant nature, Jan Garbarek’s version of Pygmy Lullaby captures the mood.